See scan - perfect condition. 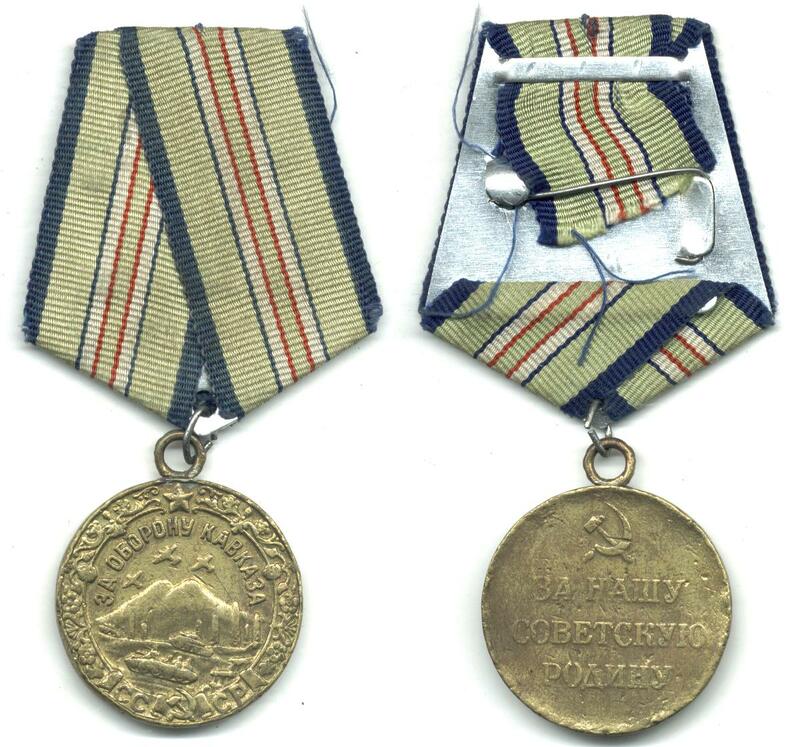 This is a nice Soviet Russian / USSR socialist / communist era WWII campaign medal for the Defense of the Caucasus - 1st issue. Established 1 May 1944. 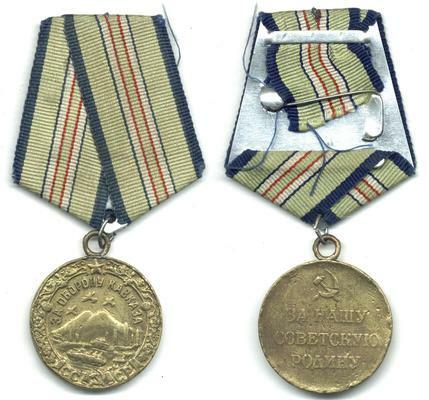 Awarded to all servicemen of the Soviet Army, Navy, Ministry of Internal Affairs, and civilians who took part in the defense of the Caucasus. Required was a confirmation of at least 3 months service in the Caucasus defence between the period of July 1942 until October 1943. A Nazi military operation, code-named "Edelweiss" planned on German troops invading and occupying the Caucasus and Transcaucasion region. Soviet troops being outnumbered in men, tanks and cannons, defended the area so furiously, it stopped the German advance. It is made of brass. Approximately 870,000 were issued. Nice militaria / military collector piece and one of the nice Russian medals.